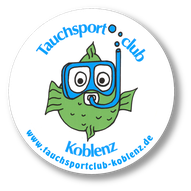 Erfolgreicher Abschluss des Tauchkurses - TSC-Koblenz Webseite! Am Sonntag, 22.05.16, nach Ablegen der letzten Prüfung, konnte unser Vorsitzender Dr. Wolfgang Derschum sechs brandneue Pässe überreichen. Herzlichen Glückwunsch an Felix, Tobias, Emilia, Sarah, Jürgen und Anne! Well done! Hurrah, that's what I was exploring for, what a stuff! existing here at this website, thanks admin of this site. Simply want to say your article is as astonishing. The clarity in your publish is simply cool and that i can assume you are an expert on this subject. Fine along with your permission allow me to take hold of your feed to stay updated with coming near near post. Thank you one million and please keep up the rewarding work. Your mode of explaining the whole thing in this paragraph is actually pleasant, all be able to without difficulty know it, Thanks a lot. naturally like your website but you need to test the spelling on quite a few of your posts. Many of them are rife with spelling issues and I to find it very troublesome to inform the reality however I will surely come again again. There is definately a great deal to find out about this issue. I love all of the points you've made. Please let me know if you're looking for a article author for your blog. You have some really great articles and I think I would be a good asset. If you ever want to take some of the load off, I'd absolutely love to write some material for your blog in exchange for a link back to mine. Please blast me an e-mail if interested. Regards!